1. How to use a toilet. You do NOT want to mess this up, bro. There are no diapers allowed after your super-liberal preschools. You are almost five. Time to potty. 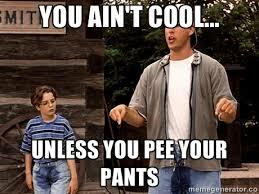 You see that cool bathroom pass hanging up on the wall? Do you think kids in diapers get to use that? Because they DONT. as you don’t flush it down), and get to peeing and pooping in a large ceramic bowl. 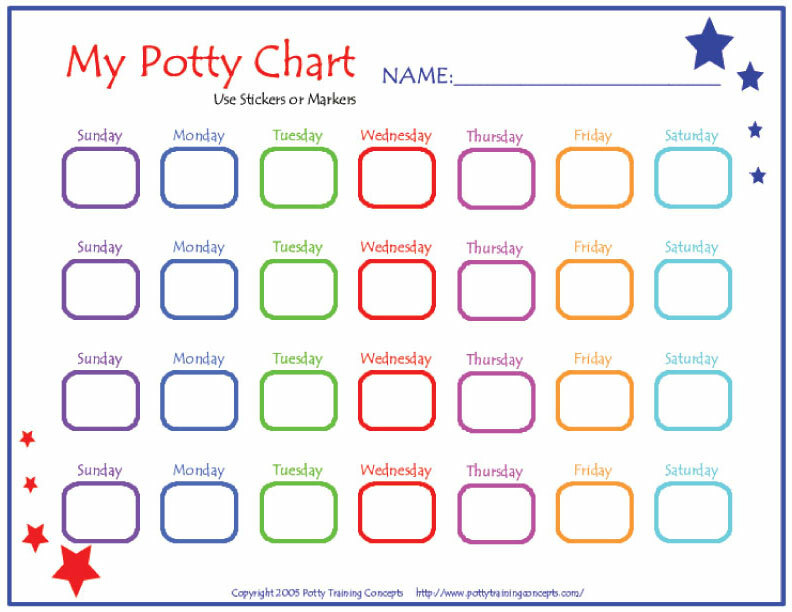 Saavy four year olds will even figure out a way to use a chart to coerce Mom and Dad into rewarding you for simply unloading your bowels! 2. Something Cool Most Kids Won’t Know. Kindergarten is the best time to begin building your social network. Most of your classmates will be fertile ground for sowing the seeds of friendship for the years to come, and you need to know how to make friends! Sharing and caring is so passé. But knowledge is power, kids. This is where you need to appeal to an older sibling or cousin, who can teach you a swear word, a scary story, that the Easter Bunny isn’t real, or a quasi-violent playground game with complicated rules you can use to manipulate the doe-eyed innocents around you. I was personally responsible for educating my classmates on the non-existence of Santa Claus during Show-and-Tell. There may have been tears, but the shock value was worth it. I was doing them a favor, really. None of us like that creepy old guy, as these pictures prove. We just want to rip paper off things and play with boxes. And knowing he wasn’t really responsible for the boxes and toys that interested us for five minutes means not having to sit in his lap. 3. Basic hygiene. This kinda goes along with potty training, but a bit more detailed. No one tells you this during kindergarten assessment, but they are looking at your boogers. And “they” is everyone around you. For the rest of your life. Ask the adults in your life, and they won’t remember the water cycle or all the colors of the rainbow, but they will be able to remember every gross, snot-nosed kid they grew up with (Johnny). Or the kid that threw up on his desk the day after Halloween (Dmitri). Or the girl who kept peeing her pants (Kimmy). There are a lot of things going on in your little body right now, and some of it will be hard to control, but think of the impressions you are making today. Wipe your nose – better yet, figure out how to blow it without Mom around, and come to enjoy the satisfaction of a boogey-free face. (Watch this video and see how gross your boogs are.) Control your bladder. Maybe don’t eat a pound of candy and then swing upside-down all recess, just to see what happens. Because you won’t always be small and cute enough to get away with the hot mess you are right now. And that’s really it. If you can accomplish these three things, find a fashion icon like Suri, or any of the Beckham kids, or especially Quinoa, you are pretty much set. Keep working on your fingerpainting skills, pretend you enjoy sharing, and you are totes gonna make it to first grade.